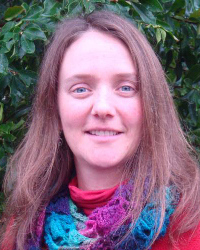 In 2009, Dr Monica Cooper joined UC Cooperative Extension as a viticulture farm advisor based in Napa County. Her applied research and outreach programs provide data-driven technical information to the vineyard industry. Her early career was defined by programs addressing invasive insects such as vine mealybug and European grapevine moth. Her current research interests include disease epidemiology, pest management, rootstock evaluation, labour issues affecting farmworkers and improving extension delivery. She directs the Napa Valley Vineyard Technical Group, a local forum for technical information and collaborative learning. Fluent in Spanish, Monica also offers educational programming to farmworkers. Educated as a ‘Plant Doctor’ at the University of Florida, she has multidisciplinary training in plant pathology, entomology, soils and plant science that she draws on to help growers diagnose vineyard problems. Monica will be presenting Managing Pierce’s disease and Red Blotch disease on Tuesday in Session 6.